Experience VR without spending an entire fortune is the first and best way to get someone introduced to VR. The HTC Vive is not really portable, and spending around $550 on Oculus Rift with your very expensive high-end gaming PC is not the best buy option. If you don't have a VR headset and curious about the VR experience, read on about the cheaper and good quality solution With Google Cardboard and a couple of mobile applications, you can dive into the world of Oculus and SteamVR to get a realistic idea of what makes VR gaming so much fun. Before you begin you must run The SteamVR Performance Test that measures your system's rendering power using a 2-minute sequence from Valves Aperture Robot Repair VR demo. After collecting the data it determines whether your system is capable of running VR content at 90fps and whether VR content can tune the visual fidelity up to the recommended level. For machines that are not VR Ready the tool can help determine whether capabilities are bound by Graphics Card, CPU, or both. Click here to install SteamVR performance test and test if your pc is capable of playing VR games. Google Cardboard HMD or a Gear VR set to handle Cardboard apps. A Leap Motion tracker for better experience. VRidge app enables RiftCat's VRidge technology on Android phone. Transforming your phone to a powerful VR headset screen. All you need is to put it inside a headmount like Google Cardboard and have fun. Install VRidge on your phone, and install SteamVR on your PC. VRidge will help you to install Riftcat on your PC, and then you will be ready to get started. Open Riftcat and select your Android phone from the list . The app basically mirrors your VR screens on the mobile device and, more important, can tell your head position using the phone’s on-board positioning systems. Adding hand paddles or body sensing is a bit harder but VRidge’s robust developer community is working hard to add motion sensing to their product and many have tried to use PS Move or Leap Motion and multiple cameras to create whole-room sensing systems. VR systems Oculus Rift are really cool but also really expensive. 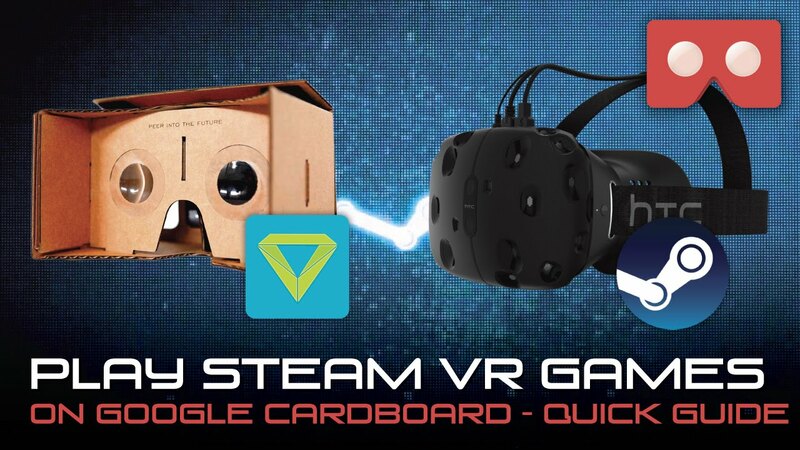 That’s why RiftCat created a new app, VRidge, that lets you play rich PC-based VR content on small devices like Google Cardboard and Gear VR, giving you the opportunity to try VR games without spending a few hundred dollars. If you have a compatabile PC for playing Oculus Rift games just, install the Oculus Store on your desktop and VRidge on your Android phone. VRidge will instruct you to install Riftcat on your PC, and you'll be good to go! Open Riftcat and select your Android phone from the list. VRidge streams everything happening in the Oculus software, so all you need is an Xbox controller ora reasonable facsimile and you'll be able to play many of the games available. Because your phone can't detect movement in space, games that rely on leaning or standing at times won't work well in this setup. You still get a great passive VR experience, and can access a ton of apps and games, but not everything will work. It’s a clever workaround to a tricky problem: how do you get people to try VR gaming when the entire rig is too expensive for entry-level players? By giving you the opportunity to play these games on commodity hardware, even if you just use the mouse and keyboard for interaction, players can learn to love VR gaming and, perhaps, one day drop a few thousand on a real rig.